As much as I may not want to admit it, keeping a pet loving house clean is challenging. It feels like we are constantly having dog-related messes, or dealing with not so pleasant smells. Part of what makes cleaning so challenging is finding the right cleaning products that not only work, but are safe for pets. While I have always been super picky about the natural cleaners that came in our home, natural doesn’t always mean safe – something a lot of people don’t understand. 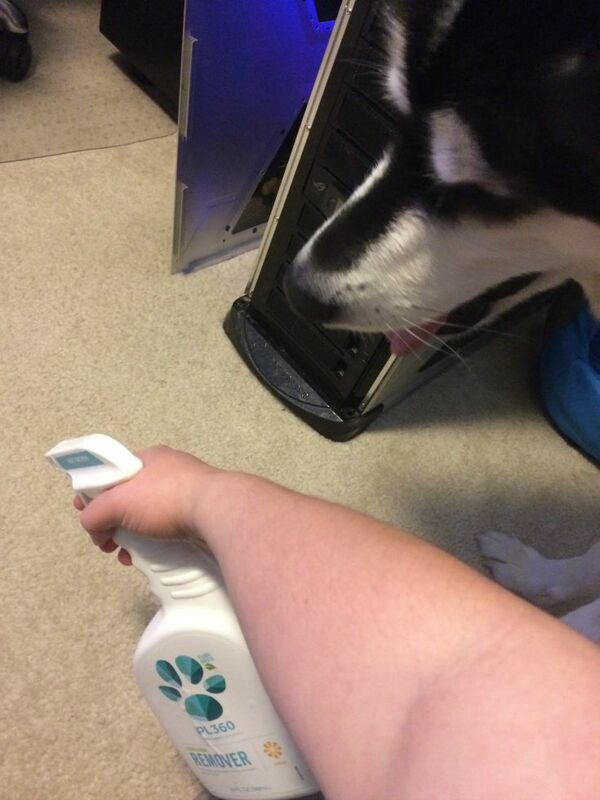 Since dogs lick just about everything at some point (especially puppies), I like to double check that all cleaners we buy are pet safe just in case. Add in the fact I also want my house to smell good, and you can see why we have very few options available! Luckily, we just had some new ones presented to us – PL360 Household Cleaners! 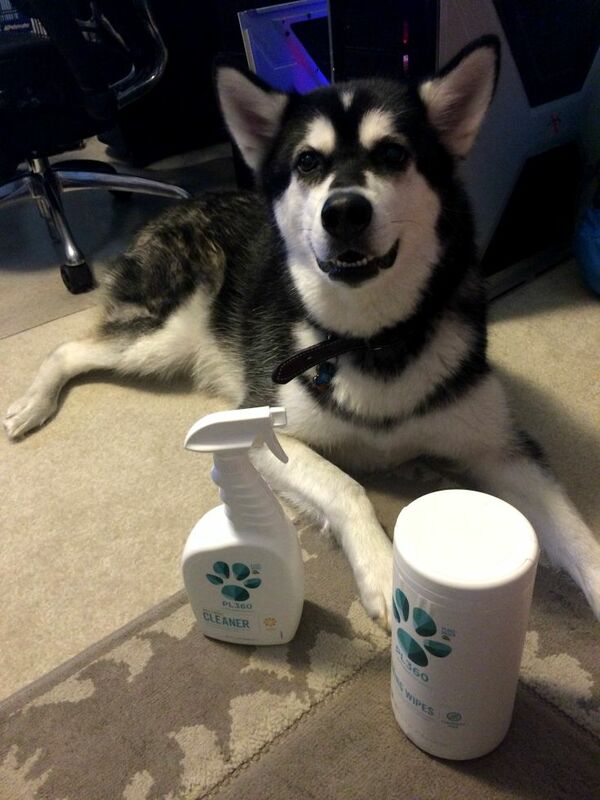 How many times have you wished you had a multipurpose cleaner for your pets? When I first heard of PL360’s Multi Surface Cleaner at Blogpaws, I have to admit, I was excited. Sure, others had cleaners but not things really meant for human or dog based messes. From what I have seen, this cleaner can handle just about anything, from cleaning up dirt at the front door to nasty messes when someone had an accident in the kitchen. Best of all, it is completely safe for pets, meaning if they decide to chew on an antler or toy in that same spot later it is okay! As well, it is safe for stainless steel, meaning you can use the same cleaner all over your house! Not only is this available in spray bottles, they also sell a Multi Purpose Cleaning Wipes container, allowing you to clean toys or quick messes with a single wipe! SO far, we are big fans of this cleaner, and are so glad someone finally made a multipurpose cleaner that is truly safe for pets! Based on our own experience, we are happy to give PL360’s Multi Surface Cleaner an A+ rating! Dog and cat owners, let’s face it – at some point we are going to have accidents. While Ivi obviously has more of them, even Reya has occasional accidents in the form of urine or vomit. As you can guess from her size, when Reya has an accident, it feels like we need a hazmat team! During those situations, I want a cleaner that I know is going to get the stain out the first time and will prevent both dogs from wanting to use that spot to do ‘business’ later. Recently, we have started using PL360’s Stain & Odor Remover. From what we have seen, this citrus smelling, plant based cleaner gets out nasty stains like urine and feces without much of any fuss. Best of all, the dogs have had no interest in the spot afterward. Based on our own experience, we are delighted to give PL360’s Stain & Odor Remove an A rating and we are planning on purchasing it when we run out! Before I go any further, this product I actually purchased on my own after trying the other PL360 products sent to me. 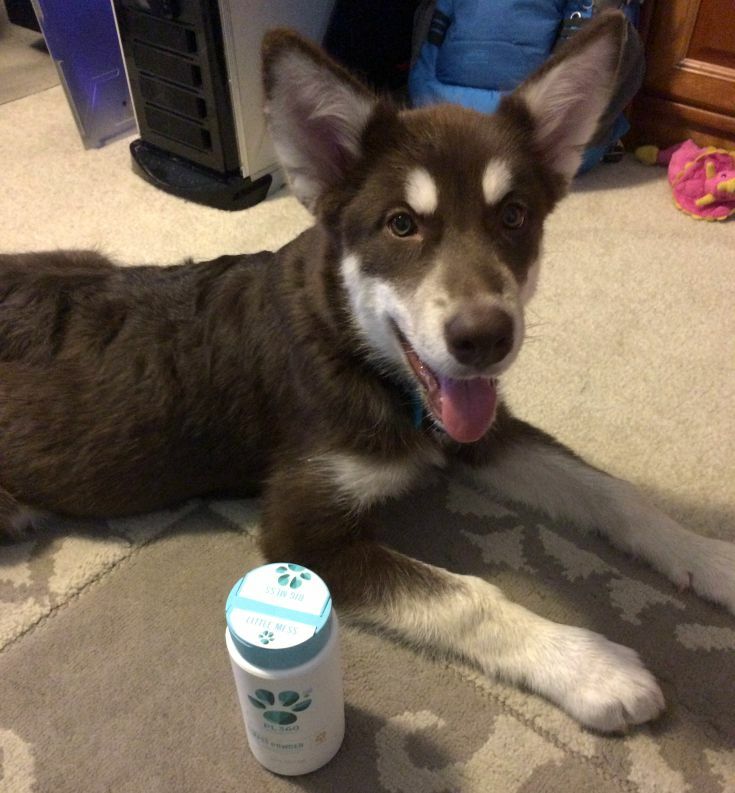 After seeing how great their other products worked, I wanted to see if their Odor Neutralizing Carpet Powder would help make our house smell much better, especially with all the animals we have in our household. This powder is a combination of baking soda and plant-based neutralizers, allowing you to neutralize odor easily without introducing potentially harmful chemicals in your home. For our test, we used an area where Reya sometimes likes to lay (and every once in a blue moon has accidents). After using the powder, our room had a light citrus scent and the carpet itself smelled great! As I expected, it was another fantastic product from PL360! Based on our own experience, we are happy to give Odor Neutralizing Carpet Powder an A+ rating. Want to purchase these awesome products for your own household? You can buy PL360 products on HealthyPets.com or you can use the store locator located on the PL360 website! Want to learn more? Check out PL360 on social media! 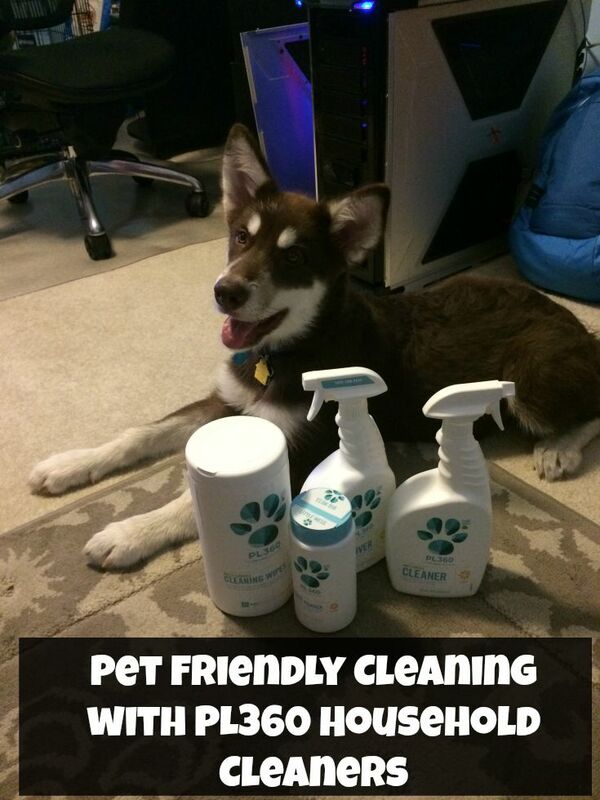 I love that it works well as a cleaner and it would be safe for my pets. Sounds like a great product. I have never heard of these products before. Will definitely have to check them out. i wouldn’t have to worry that my pet would lick the product ..
Me too! That is my only issue – it is hard to find in our area other than Amazon! 3 dogs and a kitten we could use this in our house. .
I’m not worried about animals, I’m sensitive to chemicals in cleansers. I have cupboards full of cleaning products that I can’t use because they make me ill. This sounds like a product line to try. I like that these work well and are safe for,pets. These sound like great products.